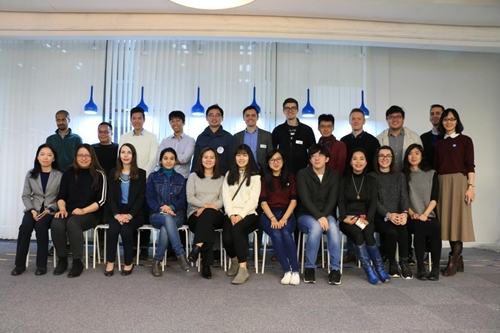 On the morning of November 9, 2017, under the guidance of Zhang Kun, a teacher of China Law at Peking University Law School, 21 students from the "China Law" project visited Beijing Huayu Yuandian Information Service Co., Ltd.
At 10:00 AM, Wu Shuaichen, a law knowledge engineer at Huayu Yuandian Legal Research Institute, led the delegation to visit the planning area, researching area, meetings area, activitiy area and rest area and other major areas of the company. 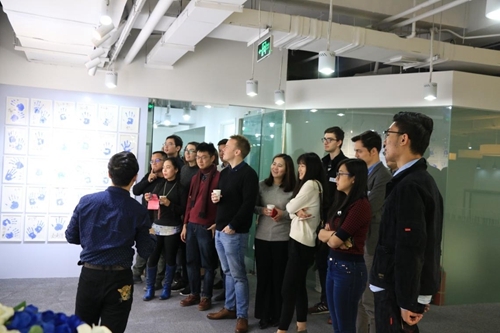 He introduced the development history and staffing structure of the company, demonstrating the open and pragmatic, independent but also a warm corporate culture. 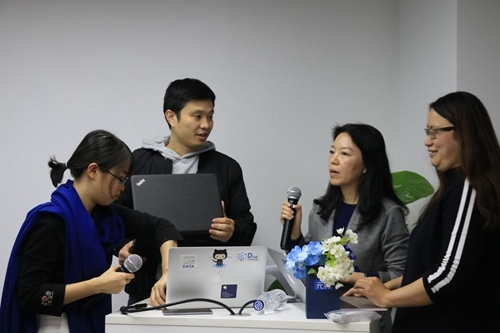 Afterwards, Zhuang Jinglin, a law researcher, introduced the work content and the indispensable role of big data companies as a whole. 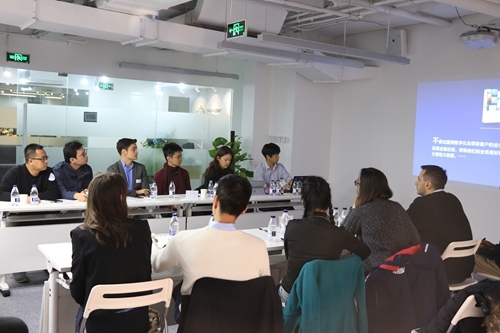 Gu Jia, an expert on civil and commercial law from the Law Research Institute, provided a detailed introduction to foreign students about the operating mode and specific role of big data in case studies, judicial process, judgments and reference, and the construction of a ruled-of-law state. Moreover, the introducer profoundly presented the significance of artificial intelligence in legal big data. At 11 am, Hou Xiaoyan, the chief expert of the Law Research Institute, presided the interactive session. Students actively raised questions and exchanged ideas with experts on big data and information technology. Students also discussed and compared notes about relevant issues in a vigorous and manner and were rewarded adequately. 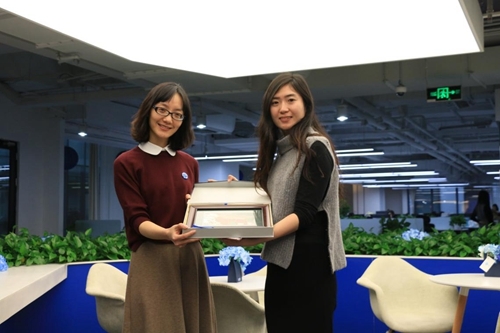 Lastly, on behalf of Peking University Law School, Zhang Kun presented the "YANYUAN XIMEN ZIMIZU VIEW" to Hua Yu Yuandian, for the purpose of expressing the big data business a bright future and a permanent friendship between Peking University and HuaYu YuanDian. At 11:30 in the morning, the visit and exchange activity has come to a successful conclusion!